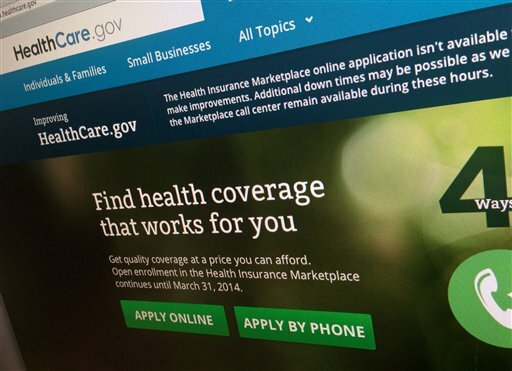 Going into President Barack Obama’s last year in office, progress has stalled on reducing the number of uninsured Americans under his signature health care law, according to a major survey out Thursday. The share of U.S. adults without health insurance was 11.9 percent in the last three months of 2015, essentially unchanged from the start of the year, according to the Gallup-Healthways Well-Being Index. The ongoing survey, based on daily interviews with 500 people, has been used by media, social scientists, and administration officials to track the law’s impact. Release of the latest installment comes after the Republican-led Congress voted to send legislation repealing the Affordable Care Act to Obama’s desk. The president is certain to veto it, but opponents say that will only help their strategy of keeping “Obamacare” alive as a political issue in the presidential election. The sharp drop in the uninsured rate seen in 2014 — the first year of the law’s major coverage expansion — now has leveled off, Gallup said in its analysis of the latest findings. The survey period included the first two months of the health law’s 2016 open enrollment season, which ends Jan. 31. That covered the first big sign-up deadline, which was Dec 15 for those wanting coverage effective at the start of the year. “A strong open enrollment period would allow the Obama administration to go out on a high note,” said Larry Levitt, who follows the health overhaul for the nonpartisan Kaiser Family Foundation. “Weak enrollment could intensify the debate over the Affordable Care Act, particularly as the general election approaches,” he said. The uninsured rate for adults stood at 17.1 percent in the last three months of 2013, as the law’s major coverage expansion got underway, according to the survey. The drop of 5.2 percentage points by the end of last year translates to nearly 13 million adults gaining coverage. But 2015 was a lackluster year. According to the survey, the uninsured rate dipped to 11.4 percent in the period from April-June, then edged up again the rest of the year. It was the first such reversal noted by the survey since the law’s big coverage expansion began. The health law has added coverage in two major ways, bringing the nation’s uninsured rate to a historic low. Online insurance markets like HealthCare.gov offer taxpayer-subsidized private plans to people who don’t have coverage on the job. And states can opt for a Medicaid expansion aimed at low-income adults with no children living at home. That’s happened in 30 states, plus Washington, D.C. The cost is to buy Obamacare is way too expensive for some. The states that did not expand Medicaid is where most of the uninsured are located. There will always be some uninsured no matter if Obamacare was totally free for all. What percentage of the homeless in this county is in that uninsured number? If they get sick they just go to a free clinic. They cannot be turned down for medical help. because those numbers would’t include the 2015 open enrolment. Simply expand Medicare to cover everyone. There ya go, 0% uninsured. Have fun, J.
I agree, pay for it with consumption taxes…..we ALL consume, the wealthier we are the more we tend to consume. So there you have it the wealthy paying more to insure the poor and….the poor paying a share in their own insurance, a win for all.